Learn with Lee: Real Estate Coaching and Consulting: 6 Essentials to Schedule Yourself to Sell More! 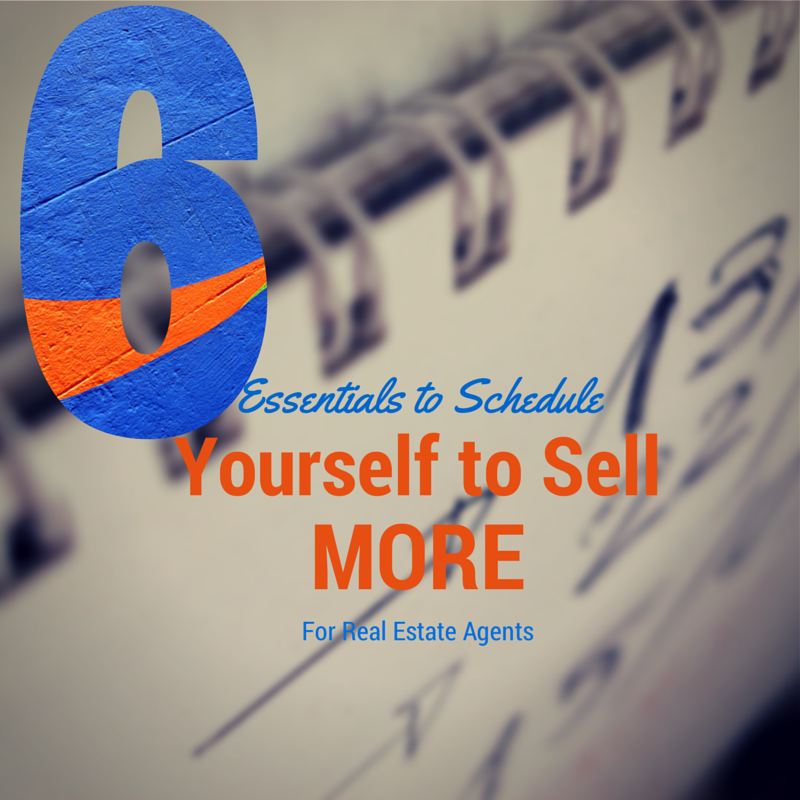 6 Essentials to Schedule Yourself to Sell More! You may be at a closing for 2 hours, negotiating contracts for 30 minutes, spending 2 hours cleaning out your email, nurturing your SOI (sphere of influence) on social media for 1 hour, networking with agents for 1 hour at your office's sales meeting and 3 hours meeting with current home sellers and buyers. But wait a minute. What are you doing today to actively generate leads? Yes, your hour on social media may comprise some lead generation if you are using that time to post ads, share warm and fuzzy pictures from your recent closings and to connect with those with season of life changes that may eventually need to buy or sell (such as the Johnstons having triplets unexpectedly or the Smiths youngest child and last in the nest applying for college). But what else are you doing to generate leads? Remember, the leads you generate today will be your closings in the future but if you are not daily and purposefully seeking new clients, than you may be a victim of sporadic, inconsistent closings - no bueno. If you desire specific lead generation tips (since this post is about scheduling your day), join our upcoming no fee webinar on How to Get 80% of Your 2015 Business From 20% of Your Network. "Cut down on non-sales related activities, and voila - instant sales growth"
~From the book Sales Growth: 5 Proven Strategies from the World's Sales Leaders by Baumgartner, Hatami and Vander Ark. Rent a shared assistant with other agents or contract with a hourly virtual assistant. Partnering with other agents can make the daunting financial responsibility of hiring help very affordable. I have said it before and I will say it again, sites like oDesk offer fantastic access to an international community of assistants that can do tasks that include cold calling, website development, blogging, social media posts and the like. Look for software that can help you salvage your time from administrative processes like Reesio - instead of manually entering your new leads from Zillow, Trulia, Realtor.com etc. into your main database, Reesio can automatically import them and start automatic engagement with those leads. Instead of trying to do a little each day, block off 1 day a week for prospecting. If you feel that for you Thursdays are a relatively slow paperwork day that rarely buyers or sellers want to see homes, make that your day dedicated solely to lead generation. This means that NOTHING else should be scheduled for your prospecting day - make it off limits as much as possible. Of course there will be the occasional fire that will cause you to use that day for something other than lead generation activities but try to make sure that is the exception and not the rule, where that only happens once every 1-2 months. Instead of trying to block off 1 whole day, plan a little, like 2 hours, each day. You may find that blocking off a whole day leads to you fighting too many interruptions or you starring out the window too long imagining celebrities that look like the clouds. Make a plan to prospect for at least 2 hours a day for 5 days of your work week to ensure better focus on this vital task. Let's face it, there are just some of us real estate agents that are not wired to diligently follow a disciplined schedule. 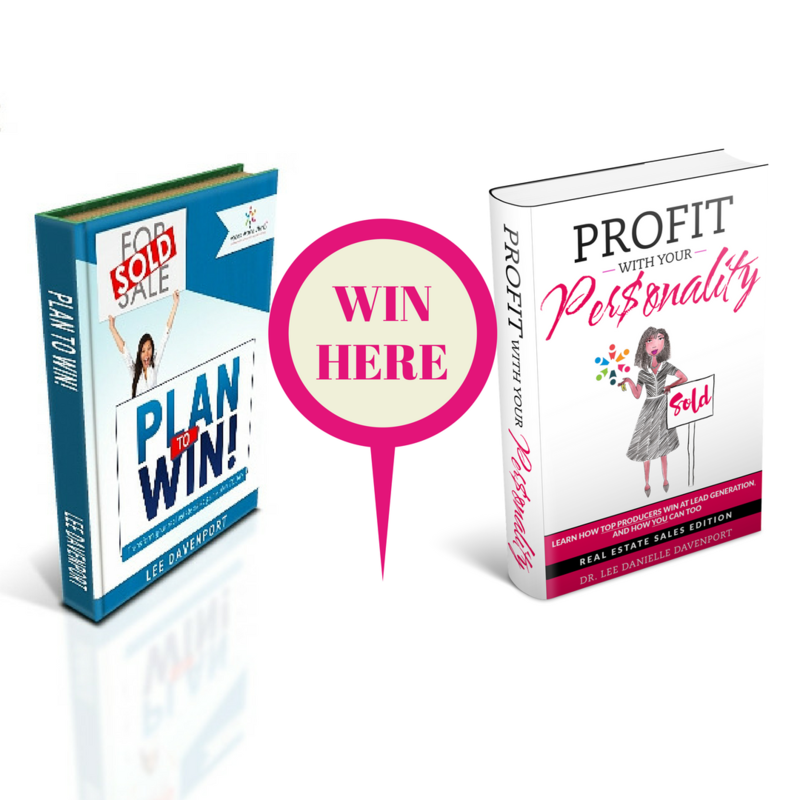 If you do not have the funds to hire or share an assistant, partner with another agent whom you work well and get along with, who is a lead generation machine. You can typically lean on their administrative strengths at no cost until closing where you or they (depending on your agreement) will receive a percentage for helping with the real estate deal. Leverage the work being done by the most visited real estate websites. Despite the controversy, there have been agents to successfully generate quality leads (for free as well as for fees) from Zillow, Trulia, Realtor.com, Homes.com and the like (yours truly included). Zillow currently captures 56% of all online traffic to real estate websites. When you couple this with Trulia's and Homes. com combined 45%, it is easy to see that these sites can push real estate traffic your way. Begin by creating on these sites FREE online profiles, then try to get at least 5 reviews posted within the next week, continue to monthly have clients post reviews and then (and ONLY then) assess if you should go a step further and pay for ads. But just having reviews on these sites with a completed profile should lead to you having an influx of leads.